Language Arts: Students reviewed the sight words: I , am , little and big. 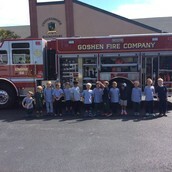 Students learned the amazing words: post office, bakery, chaperone, fire station, park and library. We read the book Miss Bindergarten takes a field trip. The students discussed the amazing words heard in the story. We charted all of the places Miss Bindergarten’s class went on a field trip. We also wrote and illustrated about a place we would like to go on a field trip. Students took part in creating a chart about the Characters (community helpers) in the story. We illustrated the community helper, what tool they use and where they work. We also discussed and learned about nouns. We learned that a noun is a person, place and thing. The students worked in differentiated reading groups. We focused on learning good reading strategies (using our pointy finger, using the pictures as clues, sounding out the words, etc..) Students read books with our sight words in them. Students worked in literacy centers focusing on rhyming words, beginning sounds, sight words and letter writing. Letters of the week: Students learned about the letters I and J and the sounds they make. Students helped in brainstorming a list of words that begin with these letters. Students completed a variety of phonemic activities using these letters. Students tried to write words that began with these letters and challenged themselves to write these words in sentences. Math: Students used their math skills and math language to determine numbers that are greater than, less than and equal to. Students used the symbols and help show which numbers are greater, less than or equal to. Students worked in cooperative learning groups to observe two numbers and decide which is greater than, less than or equal. Students used their problem solving skills to help with the concept of one more. Social Studies: Students learned about fire safety. October is fire prevention month. 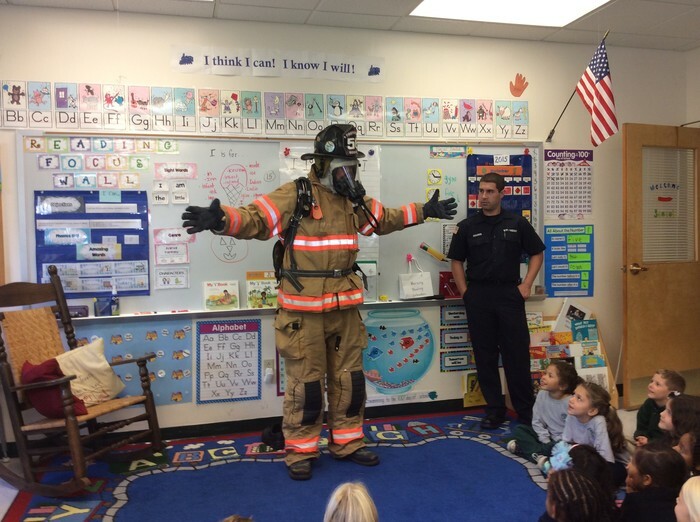 The fire company visited on Monday to teach us about important fire safety rules. We practiced Stop, drop and rolling if we are on fire. Students listened to a variety of books on this topic and completed writings about ways to stay safe in the event of a fire! 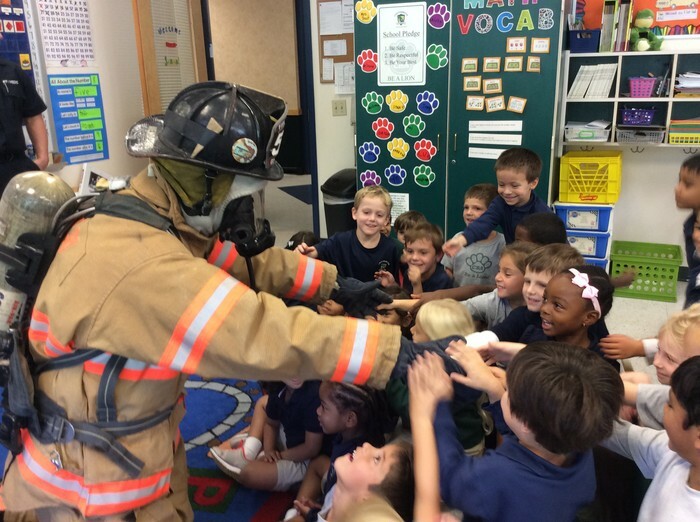 We got to see a real live firefighter in uniform! 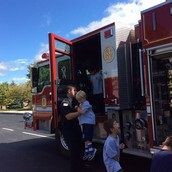 We explored the fire truck! We learned many fire safety rules! 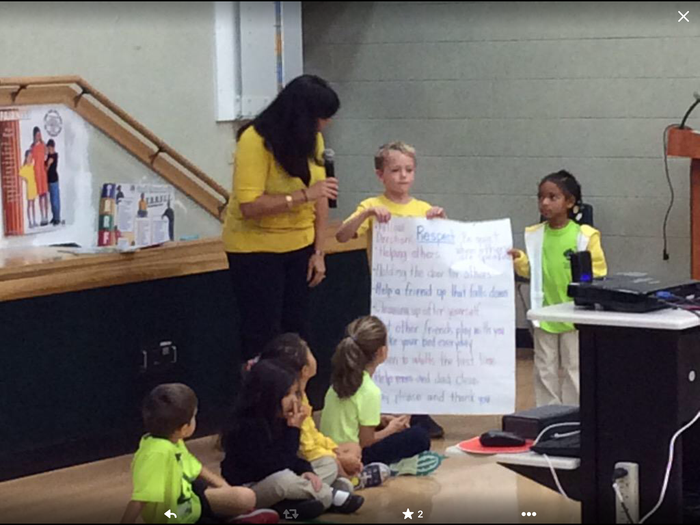 presenting our respect video at PRIDE time! 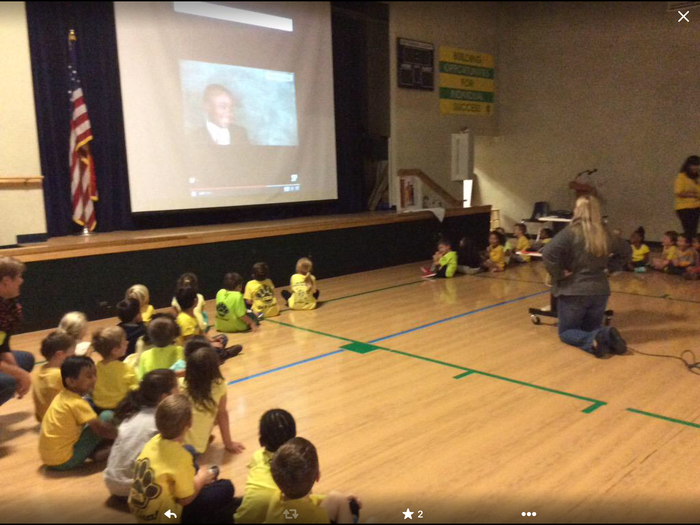 Watching Kid President and learning about RESPECT! Parade of Pumpkins will be October 16th! Buy a pumpkin, carve it and bring it back to school! Then visit next Friday night to see all of the jack-o-lanterns lit up! We will also be selling food and treats! There will be a Parent seminar at 6:30 on October the 14th at 6:30 on raising a motivated child!